In 2005, when the first video was downloaded onto YouTube, it was impossible to predict the force that video would become in our lives. Today, audiences watch over 1 billion hours of YouTube every day, with 8 out of 10 14-49-year-olds spending time on the platform. For businesses, this means one thing. YouTube provides a massive audience for your brand’s message – but only if you have the subscribers. You can learn more about YouTube Marketing by taking this Online Marketing course. There is the challenge. While there’s tons of potential with YouTube, it’s also highly competitive and subscribers are key to building the type of awareness that generates shares and traffic back to your website. If you’ve ever uploaded a video onto YouTube, you already know that this can be more difficult than it sounds. 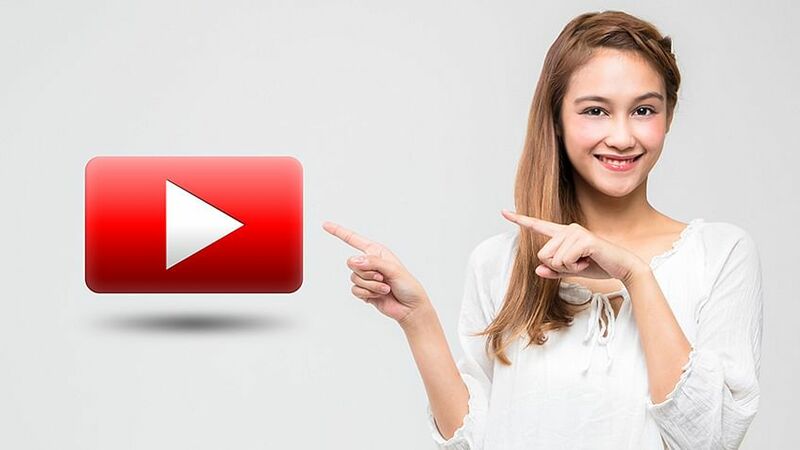 Fortunately, there are several strategies that businesses can use to gain more YouTube subscribers, get lots of love for their videos and reach their marketing goals. A subscriber is a person who choses to follow your YouTube channel. While each view your content gets is important, it’s your subscriber base that really does the work of building your brand’s presence. When someone subscribes to your channel, they can stay updated on your most current video content. This has major advantages for your brand. For starters, a subscriber relationship is crucial for building long term brand loyalty. The more time a user invests in your video content, the more connected they’re going to feel to your brand. Secondly, a subscriber that enjoys, comments and shares your video on social networks is a key player in building brand awareness in a growing digital community. Think of subscribers as valuable business partners. With this in mind, let’s dig in and talk about how to increase your number of free YouTube subscribers starting today. So, is there a great secret to how to get subscribers for YouTube? The truth is that there isn’t really a secret as much as a set of strategies that are proven to attract more subscribers and build awareness for your brand. Here are 5 ways to start getting more views and followers almost immediately. When the pressure is on to publish lots of engaging content, it’s easy to fall into the mindset that more is better, and the important thing is to just get it out there. The fault with this philosophy is that with all things in marketing, quality always wins over quantity. This means that to grow your subscriber base, you need to start with a plan. Structured videos perform better and get more YouTube views. This is because a structured, scripted video is one that makes sense and stays on a logical track. Take for example the difference between a conversation with a friend and speech you might give at work. One is fractured and can go off on multiple tangents, making it difficult for someone outside your “loop” to follow along. The second is a planned dialogue that follows a logical sequence and says everything that you need to get the message across. Which is going to keep the attention of someone watching one of your videos for the first time? When planning your video script keep your intended audience in mind and adjust the tone of the video appropriately. For example, there’s going to be a big difference in tone between a video about a legal matter and reveal video about a gaming product. What is the number one reason that someone subscribes to a YouTube channel? They love what they’ve seen, and they want more. With this in mind, why would you let them down? When someone follows you on YouTube, they’re expecting to see content from you regularly, and not meeting this expectation is a sure way to lose subscribers and give potential new ones a reason to pause and reconsider. Let’s face it, we live in a time where audiences expect a consistent flow of entertaining and valuable content. For businesses, this means that the pressure is on to provide new video content consistently and with a reliable frequency. What is the magic number for posting video on YouTube? Well, this depends on a lot of things, including the time and budget you have available to devote to content creation. It’s a decent goal to aim for one video per week, but twice a month can be a good starting point if you’re consistent. Strategizing to get YouTube views alone isn’t enough. Knowing how to keep a viewer engaged through those first few seconds of a video is crucial to building the type of engagement that leads someone to become a subscriber. When a user is watching a video, it’s super easy for them to back out and watch something else if what they see doesn’t grab their interest immediately. What you accomplish in those first few seconds matters a lot. On YouTube, where the optimal video length is about 2 minutes, you need to get to straight to the point in the intro so that the audience knows that your video is worth their time. The best strategy is to shorten your intro and avoid unnecessary chitchat in those first few seconds. There’s time to tell them a little more about yourself or become more conversational with your content once you’ve captured their attention by stating the purpose and value of the video within the first 5-8 seconds. Stop and think about what it takes for a new viewer to come across one of your videos on a platform where 300 hours of new video are uploaded every minute. You might luck out and have them come to you via a shared video on social media, but chances are their journey involved a search and then sorting through multiple videos until they came upon yours. This is a lot of work for just one video, so why not make it easy for users to watch more of your content and encourage new subscribers by providing strategically created playlists? For example, a playlist created especially for new viewers can promote the videos that are most crucial for building long term relationships while a task-oriented playlist can include videos that offer complimentary helpful content to users looking for solution-based videos. One of the easiest ways of increasing your subscriber base is just to ask for it. It’s never safe to assume that the user will automatically subscribe to your channel if they like what they see – often they need a seed planted, and it’s your responsibility to make sure it happens. Make sure each of your videos include a compelling call to action that leads them to subscribership. There are three words to remember when including a subscriber CTA in your video – what, how and why. Your CTA should state explicitly what you want the user to do -subscribe to your channel, how they can do it and why they should. Remember that your audience’s time is valuable, even when they’re leisurely scrolling through videos, so it’s key that they understand how clicking on that subscribe annotation will benefit them and add value to their life. The strategies outlined here are time honored for generating success. However, we all know that how and why people use social media, including YouTube, is constantly changing. To stay successful and keep your finger on the pulse of what drives users to become subscribers, you want to always be learning and adapting. Simplilearn offers courses in digital marketing, including a Social Media Specialist program to help you learn more about getting the most out of YouTube for your business today and into the future.